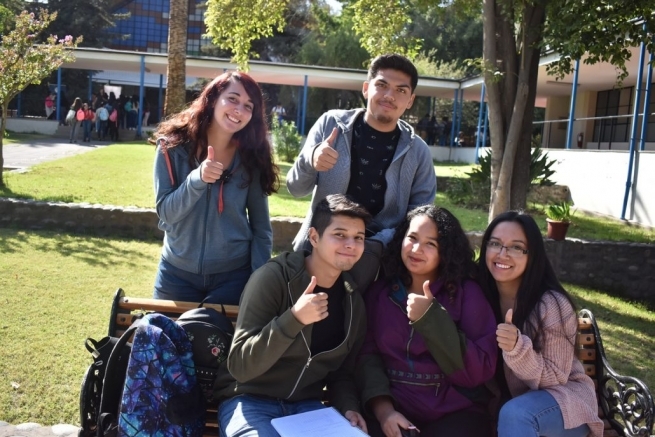 (MissionNewswire) The Salesian Silva Henríquez Catholic University (UCSH), located in the Lo Cañas district of La Florida, a suburb of Santiago, Chile, opened a new facility to improve the quality of services and spaces for 300 new students taking courses in nursing, kinesiology and phonoaudiology and physical education. The expansion project encompasses a total area of ​​about 3 hectares which was made available by the local Salesian province. The new space includes 11 classrooms and two chemistry and biology laboratories as well as an extension of the boarding school, a theater redesign and new offices for academic staff. The Salesian-run Silva Henriquez Catholic University was launched in 2016. Nearly 64 percent of its 1,106 students were admitted to the university free of charge. Salesian missionaries living and working in the region offer this free university education to students who are unable to afford it. The goal is to encourage higher learning, help students gain the education needed for a career and encourage graduates to contribute back to their communities. According to the World Bank, Chile has a fairly low poverty rate of 14.4 percent. However, the country struggles with high rates of income and education inequality. Salesian missionaries working in Chile focus their efforts on providing education and social services to poor and at-risk youth. At Salesian schools, universities and youth centers throughout the country, youth can access an education as well as the skills and resources necessary to break the cycle of poverty. As a result of the vocational and technical education provided by Salesian programs, Chilean youth are more likely to find stable employment and improve their standard of living.